Hellboy Study, originally uploaded by lone_goomba. the illustration I drew this from was dated '95. 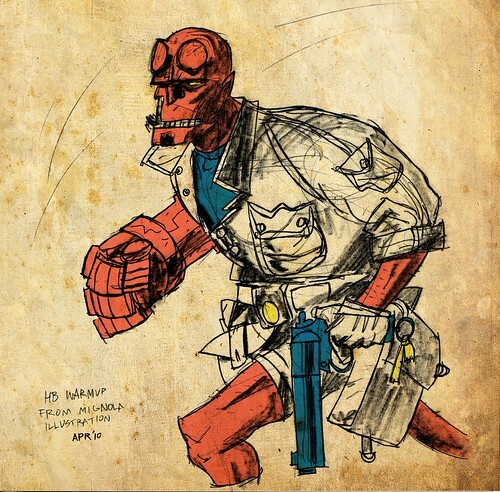 I miss the time when Mike Mignola drew hellboy with shoulders and equipment and make him look less like a quick (if masterful) graphical cutout. for contrast here's the original, copyright to Mike Mignola of course. man look at his left fore arm, I love that, all that tension there.